Optimize 3.0 is a Hubspot Platinum Partner with over seven years of experience. Hubspot's CRM is driving the alignment of sales and marketing more than ever. 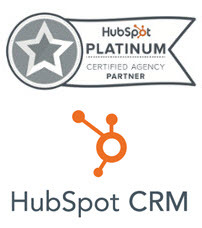 We can assist your company with CRM implementation and training to get the most from your Hubspot investment. Fill out the form on the right to learn more about our Hubspot CRM implementation and training services. If you are interested in Hubspot Marketing training click here.